- High quality Echo SL single caged pedals. - Aluminium outer cage provides excellent grip and feel, ideal to use in competitions or while training. - Single cage to save weight and to give a better grip. 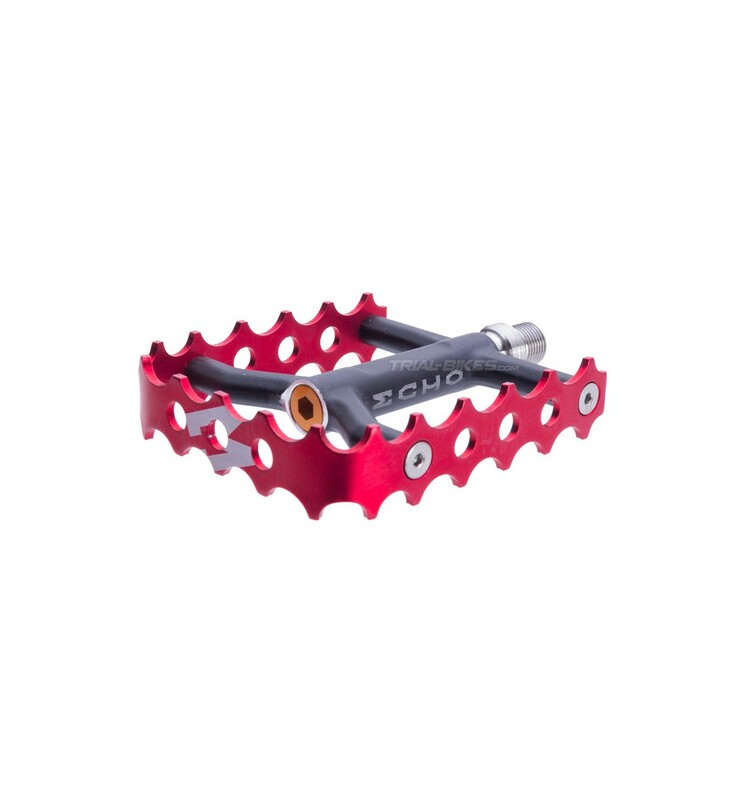 - 3mm thick cage, made from high quality 7075 T6 aluminium, which other brands don't offer. - Titanium cage bolts, which save a good few grams. 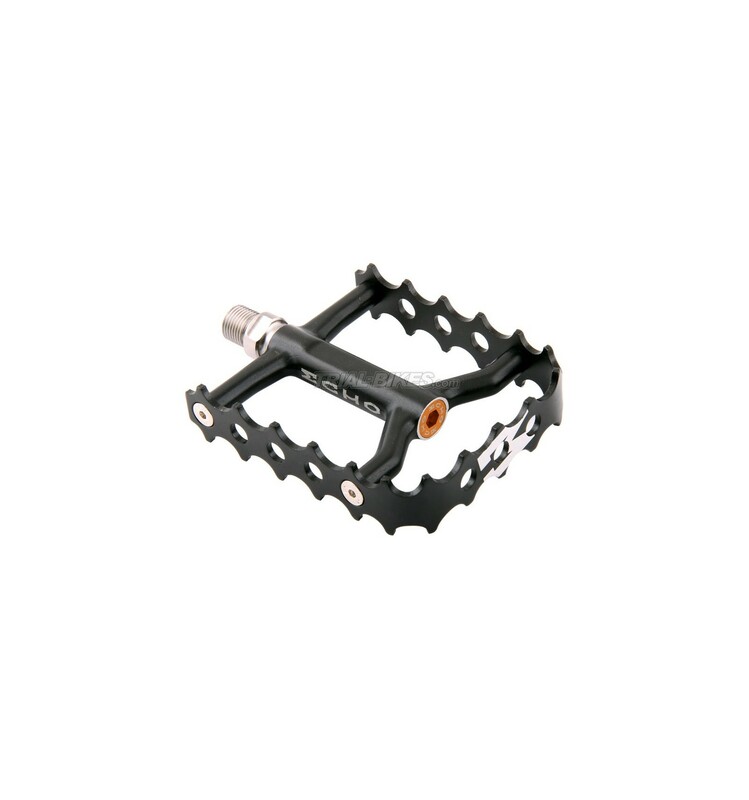 - Large contact area helps keep your feet on the pedals, no matter how rough the terrain is. 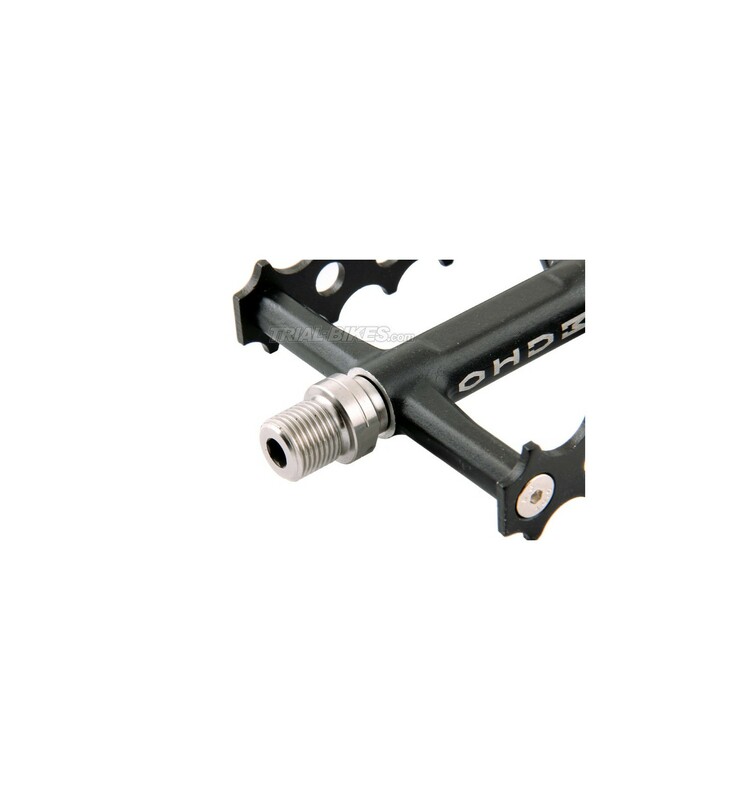 - Superlight, high quality titanium axle, which can be tightened with a 6mm Allen key. - Sealed bearings ensure a smooth running. The rigth pedal comes marked with an "R" on the axle, whereas the left pedal comes with an "L". 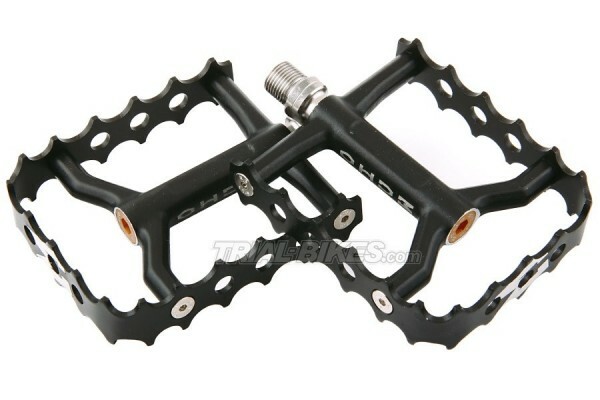 Both pedals tighten to the front of the bike.